I made a quick gift for a friend's birthday this week. 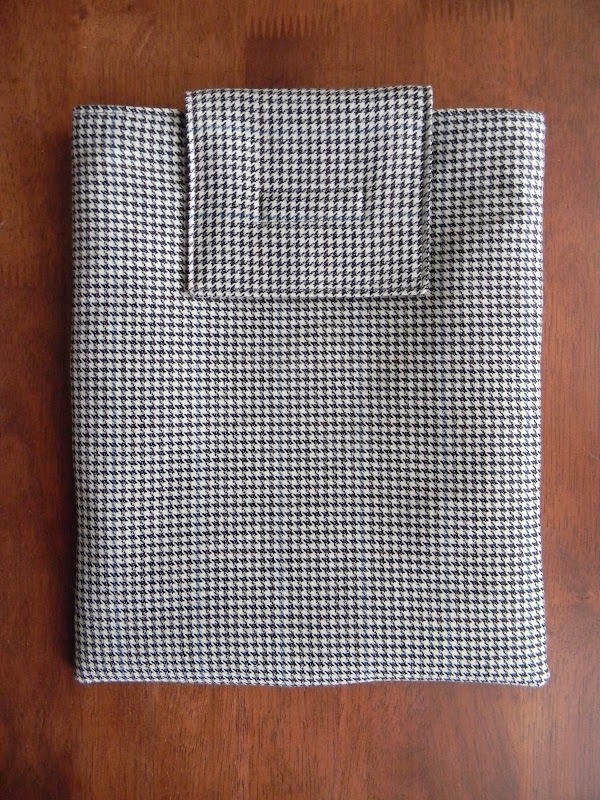 She has a new i pad, so I made her this sleeve. 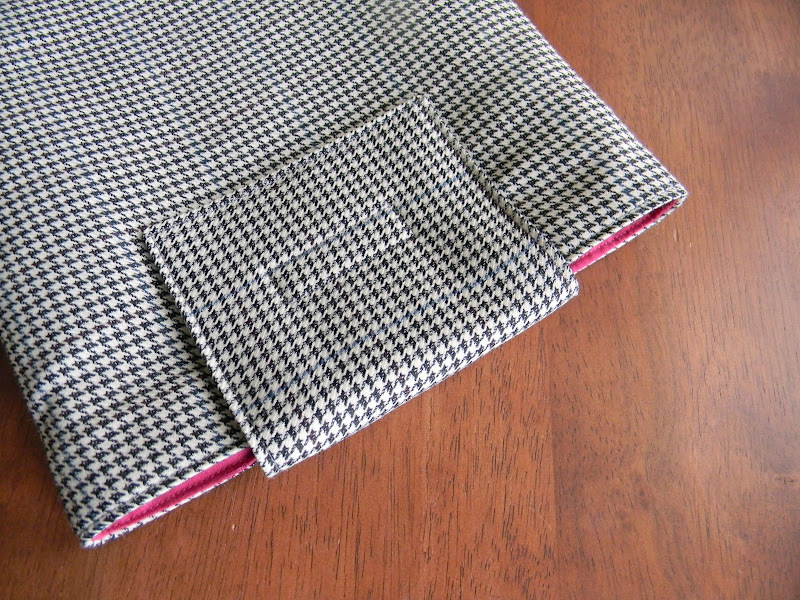 I used this tutorial and some houndstooth suiting material. 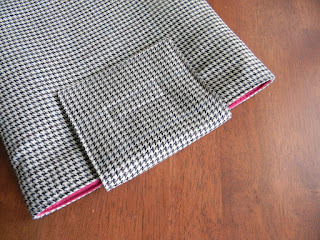 I lined it with lipstick shot cotton and used fusible fleece instead of quilting it. I think I'll use two layers next time. cute. i love that tutorial. 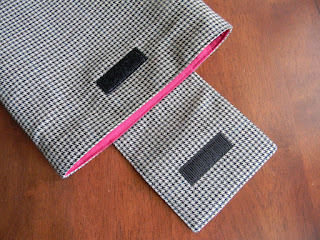 i adjusted the measurements and made a few kindle covers also. 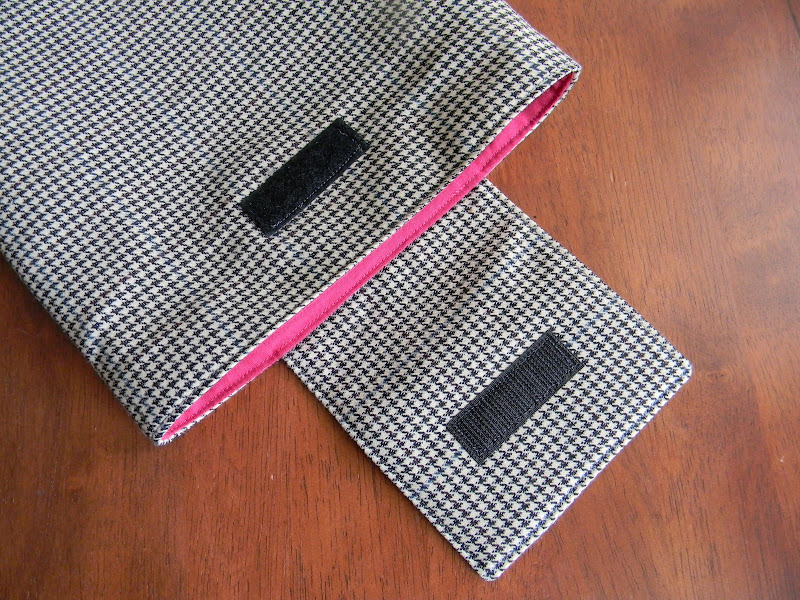 Love the houndstooth with the hot pink! 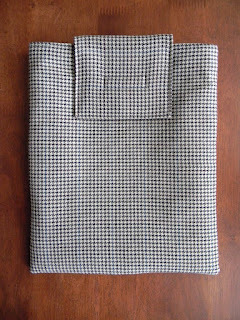 That's a great and very thoughtful gift. My favorite part is the lipstick lining.